Ali Baba is mysteriously absent in this video, but his 40 thieves are out causing a ruckus. 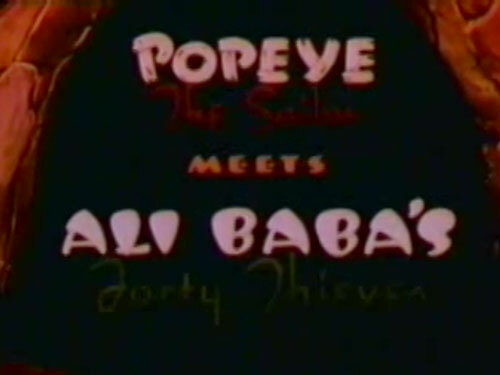 Popeye and Oliv Oyl hear about an attack the thieves make on Arabia, so they gear up in their plane and fly over. They crash land in the desert, where they roam until they come across a town where the thieves are about to attack.